The following menus are designed to feed 8 to 10 people. Tax and delivery are extra. These menus are not available for restaurant dine in or Holidays. Smoked or Baked Turkey, Dressing & Giblet Gravy, Cole Slaw or Potato Salad, Yams or Mashed Potatoes, Corn Bread or Rolls. For deep fried turkeys add $45.00. Big Mama's is proud to announce the arrival of The Ultimate Tailgate - our mobile kitchen bringing our famous southern cooking right to you. We can cater your event from large to small - from sporting events, to private parties, to corporte functions. With our fully outfitted and portable trailer, we can deliver our famous recipe's, no matter the size of your event. Get in touch today to find out how to have our kitchen come to you! Email Us Now to find out how you, too, can experience The Ultimate Tailgate. Let Big Mama's Come and Put Some South in Your Mouth! 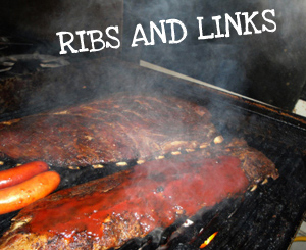 BIG MAMA'S RIB SHACK ("Big Mama's") is a family – owned and operated, Full Service, CATERING COMPANY and RESTAURANT located in Pasadena, CA. Big Mama's has been cooking, serving and selling the finest Southern Food for over 75 years. From tray passed hors d'oeuvres to a customized full service menu of SOUTHERN HOME MADE DELICACIES ,and BIG MAMA'S will work with varied budgets. BIG MAMA'S HAS an extensive menu for your special occasion, BIG MAMAS WILL SERVE YOU the best authentic southern cooking and B.B.Q. this side of Mississippi - and will serve you with a southern hospitality. BIG MAMA'S WILL HELP YOU If you're planning any kind of party, i.e. Wedding reception, Corporate event, Graduation party, Family reunion, Birthday party or any other kind of event and need food and service, then call (626) 797-1792 or email catering@bigmamaspasadena.com. BIG MAMA'S WILL HELP YOU PLAN YOUR EVENT and provide everything you need for your special occasion. Big Mama's favorite thing is feeding people. BIG MAMA'S CAN PROVIDE YOU with on-site service and staff.BIG MAMA'S HAS ON SITE BANQUET ROOMS for rent or we'll bring the food to you and serve it- or drop it off and you serve it. (626) 797-1792 or email catering@bigmamaspasadena.com for more information. Wonderful menus with tailored, entrées, deserts and side orders are crafted just for "YOUR SPECIAL EVENT".